We have been working hard lately on our in house developed chassis dyno control system. 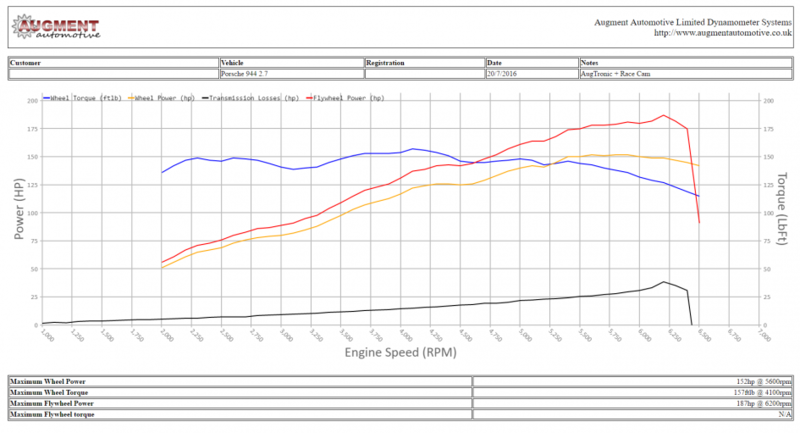 We have previously only been able to generate our dyno charts offline with some manual data processing and we are please now to have further developed the system to automate the production of dyno charts. Once we have completed our final stages of testing we will have a very accurate and repeatable system. The first live test was carried out on a Porsche 944 2.7 producing a figure of 187bhp at the flywheel with a bit more tuning left to do. A pdf copy of the chart is available below.